Locals received an update Tuesday on proposed laws that will impact drivers across Louisiana. 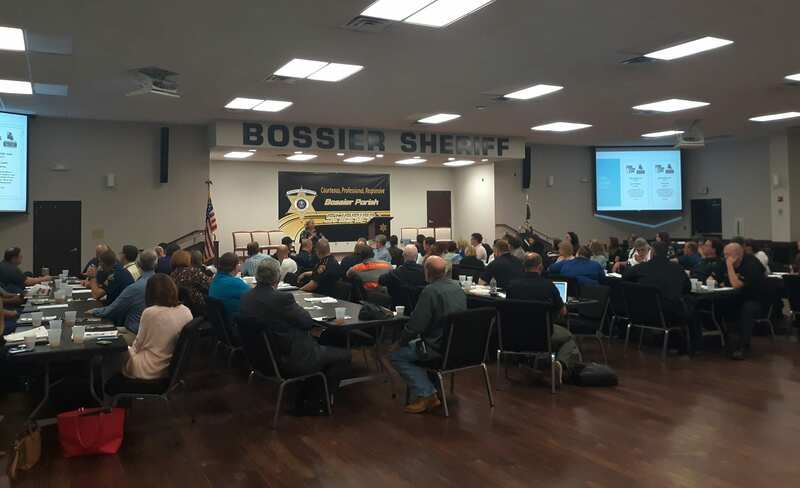 Lt. Barry Spinney, with the Louisiana State Police, told Northwest Louisiana Transportation Safety Coalition (LHSC) members at their meeting in Bossier City about driver safety legislation filed by northwest Louisiana legislators. HB6 Jenkins: Creates the crime of aggressive driving and provides for the elements of the offense, criminal penalties, and the authority to issue a summons in lieu of arrest for those who commit the offense. HB132 Crews: Extends the post-accident drug testing requirement to accidents involving serious bodily injury. SB206 Gatti: Provides relevant to seizure of driver’s license under certain circumstances. SB138 Gatti: Provides a universal definition of “serious bodily injury” and requires drivers involved in crashes resulting in serious bodily injury to submit to a chemical test. Also at the meeting, each member was presented with the January 2019 summary and overview Louisiana Strategic Highway Plan (SHSP). Over the last decade, 40 percent of the total traffic fatalities in Louisiana involved alcohol and drugs. In 2017 alone, young drivers (15 to 24 years old) accounted for 27 percent of all fatalities and 29 percent of all serious injuries. In 2017, distracted driving represented 22% percent of all fatalities and 34 percent of severe injuries in Louisiana. The LHSC is a collaboration of experts who meet to discuss how to make our roads safer. Established in 2015, the LHSC is one of the nine coalitions that cover the state of Louisiana. The NWLA coalition covers Caddo, Bossier, Red River, DeSoto, Webster, Bienville and Claiborne Parishes. The LHSC administers the State’s highway safety grant program, which aims to reduce traffic crashes and the resulting deaths, injuries and property damage. The next coalition meeting will be on Oct. 8.